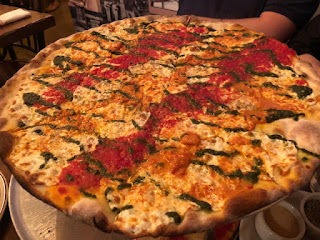 Since I've revealed our insane pizza eating this summer I figured it would be okay to do back to back pizza posts; so here's our next new favorite Joe & Pat's. This family owned spot is somewhat of an institution over in Stanton Island where it's been slinging pies since opening back in 1960. They've had such huge success they opened up a second outpost in the East Village and we've been reaping the benefits ever since. All their pies are thin crust and crispy with flat charred edges and the perfect ratio of cheese to sauce. I highly suggest ordering the 1960's Original which showcases the freshness of the cheese and their delicious signature sauce. Or the Tri-Pie for those undecided folks which combines tomato, vodka and pesto into one whole pie. Really anyone who struggles with ordering should have a relatively easy time here. 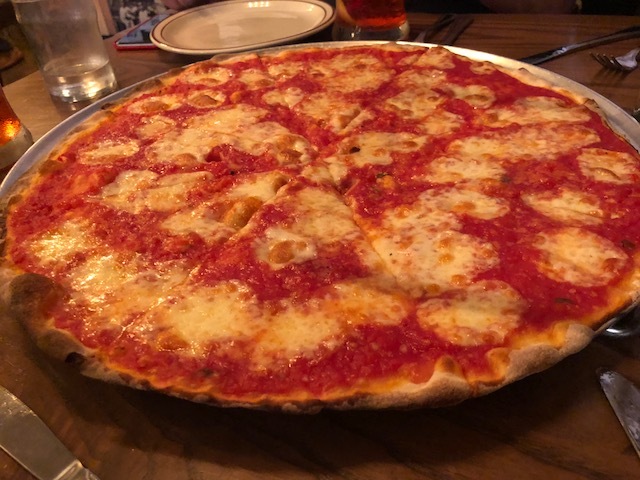 All the pizza's are available as half and half and for those that don't enjoy pizza there's a large menu of pastas, panini's and Italian specialties like Chicken Parmigiana and Flounder Oreganata. Welcome to the East Village Joe & Pat!